Project management activities are carried out in order to ensure the implementation of the project, both in compliance with Intellectual Output and the application procedures of the Community Regulations, in particular Erasmus + Program. Coordination means all the activities for starting the project and its correct approach to achieving the objectives to be achieved. Dissemination measn all the activities to show the impact of the project. Exploitation means all the activity to allow target groups to enjoy the effects of the project. Evaluation means all activity as internal audit to verify the used method achieving objectives of the project. ITS Teramo, in cooperation with Pixel, produced all the material for the Kick Off Meeting. The project presentation was created using MS PowerPoint and was introduced during the meeting. Inside the meeting folder was added a Calendar of Activities, an instrument for all partners to have a complete and resumed view over the activities of the project in all its length. After the meeting, detailed minutes were prepared about what has been said and decided. A full list of annexes was also produced, some updating the drafts presented during the meeting while others were started from scratch. ITS Teramo took care of the transnational co-ordination and supervision of each activity to be carried by the partners, by creating a calendar of activities with established deadlines and mailing lists to manage each time period. ITS Teramo contributed to the production of forms to be used for the project activities in particulary for the IO1 Video Lessons. During the second meeting in Latvia, ITS coordinated partners for the second out put content editing. For every activity ITS Teramo sent the project partners the needed material, reminded the deadlines, answered the questions over any kind of issue, collected the produced material and sent it to technical partner. ITS Teramo created the dissemination form and organized several dissemination events. ITS Teramo contributed to preparation of the project’s brochure in English and will coordinate the partners for the translation in their national languages. A total number of 11 dissemination events have been carried out so far. ITS Teramo created the templates and forms to be used by the partners for carrying out the exploitation activities. Pixel is also in charge of the collection of the exploitation material produced by the partners and of its uploading on the project portal. 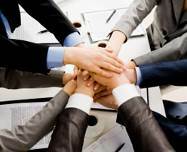 As by methods already tested, monitoring the activities and involvement of partners. 15. monitoring the activities and the target group to use the virtual platform.